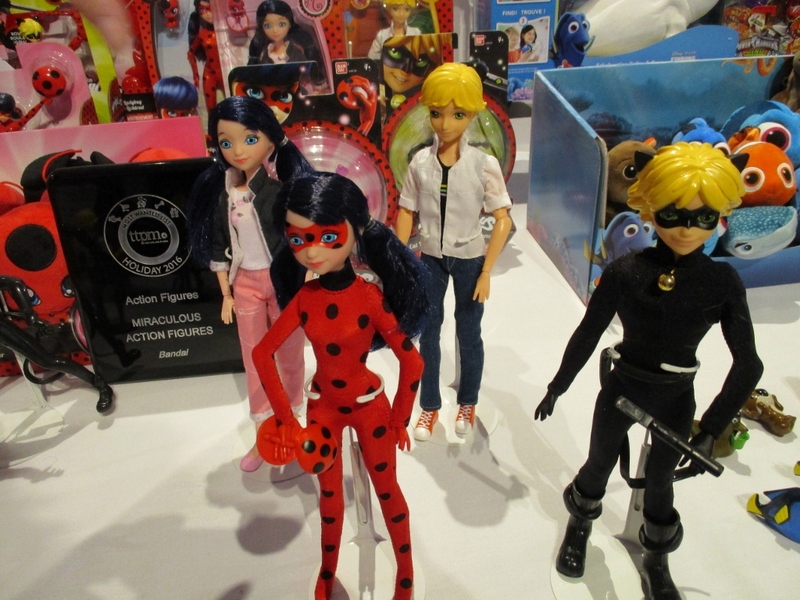 The TTPM Holiday Showcase for the media features large and small companies showing what will be their most promoted and promising toys during the holiday season. It is a super fun event. As usual, I am looking at everything from a grandparent perspective and providing my list of what a grandparent might want to be shopping for soon. 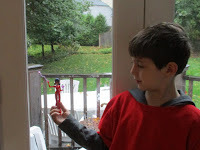 I look for updated toys that we remember from when our kids were kids, good value, things we can do with the grandkids, toys with learning and play value, and what's popular that will message the grandkids that we are not completely in the dark about what is happening in their world. Here are some of my favorites from the TTPM showcase that fit one of more of this criteria. Everybody loves Peppa and George and even if the young child you are buying for already has a Peppa plush, they will love these. They are large and soft. When you press the button on their tummy they giggle and wiggle their arms. 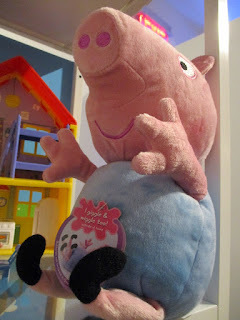 Kids will love seeing Peppa and George being so funny and they are sure to make your pre-schooler giggle along with them. 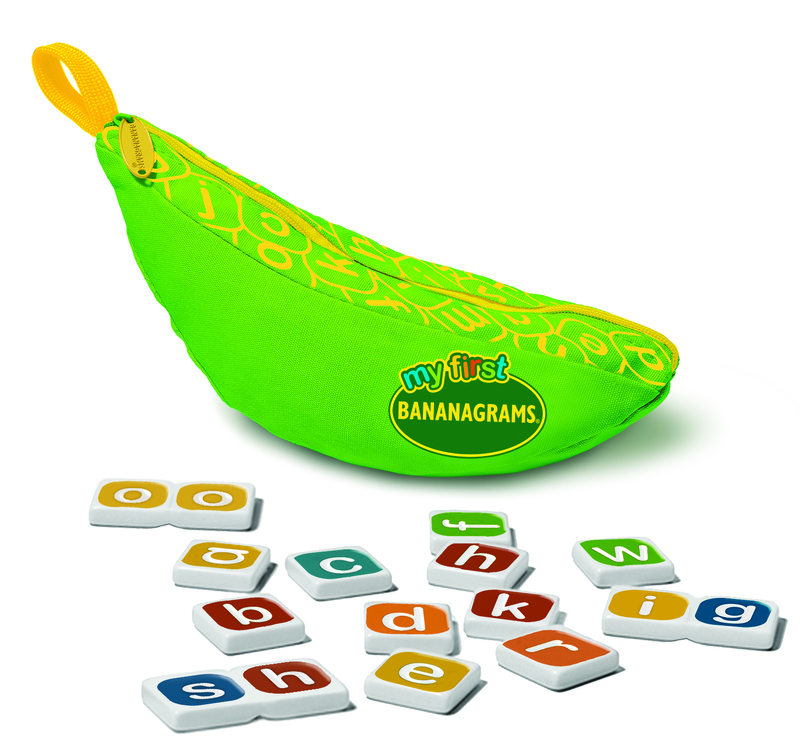 Calling all Bananagrams lovers – If you have an early reader you will want this set (Even if you are not already a Bananagrams fan). 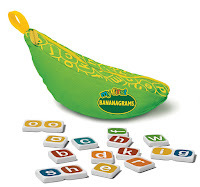 My First BANANAGRAMS features easy grip tiles, lowercase letters and combo-letter tiles to help with the wordplay. 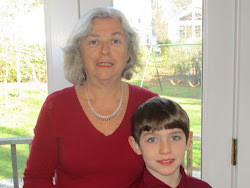 There are directions for multiple activities and mini games or make up your own as I have done with my grandson. The banana includes 80 single tiles and 13 combo-letter tiles. The picture I took at TTPM was blurry so this is a stock photo. A new Trolls movie by Dreamworks will be released on November 4th (the ads are already heating up the airwaves). Thus Troll toys will be super hot and probably fly off the shelves soon after the movie release. 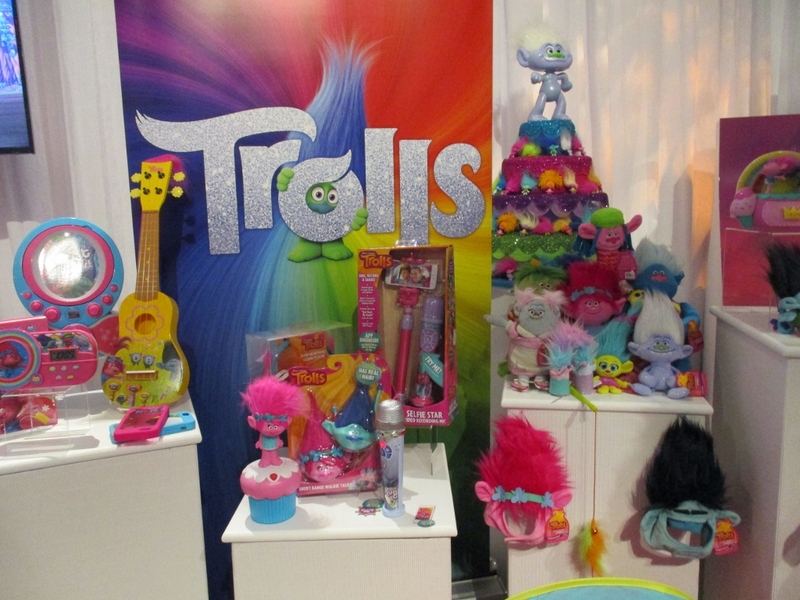 If you are a grandparent, you probably remember the trolls craze in the 80s and 90s. 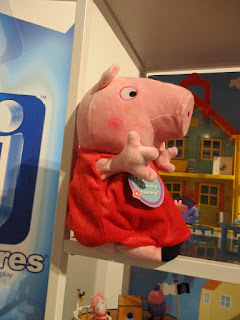 My daughter had a huge collection. Well this is going to be one of those movies popular with parents and kids –grandparents too – as it features quite a cast of voices by celebrities young and old. This is a sampling of the Trollmania you can expect soon. Kids who like to design cities enjoy software like Sim City. This set will give a child a hands-on experience to design and build their own design. 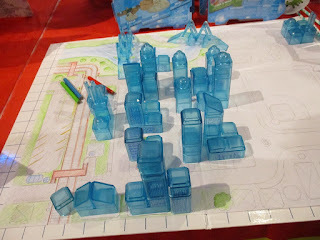 The set includes a grid, paper which you tape to the grid, clear blue building pieces, colored pencils, decals of building facades and windows, and traceable templates of various features in a city such as a baseball field. Although the box cover only features a boy, this set should appeal to both girls and boys. Ages 8 and up. These 3D wood models have both an old fashioned and fresh-cool look and feel about them. 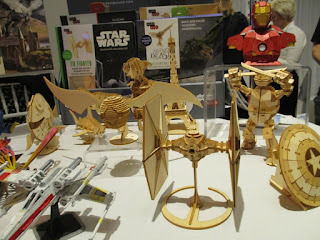 The wood models come on a laser cut wood sheet with easily removable pieces and are put together without glue and tools. Detailed instructions are provided. There are Star Wars, Harry Potter, super hero characters, the Eiffel tower and more. This picture shows some of the models on display at TTPM. The package says ages 12+ but I think this is an excellent project for a grandfather and younger child to work on together. You can buy a model only or a model and book set. It is right priced for a grandchild sleepover visit activity. By the end of the October I should have my Holiday Gift Guide posted so look for even more holiday gift ideas for the Grandkids there. Check out these items at Amazon – just click on the links below.